We break down the Oscar nominees for Best Foreign-language Film along with the Academy’s most indignation-provoking snubs and some honorable mentions. On Tuesday, January 23rd the Academy of Motion Picture Arts and Sciences announced its nominations for their big night on March 4th. One of its most historically controversial categories is Best Foreign-language Film, never a stranger to some well-deserved criticism. You see, one of the most common complaints from film critics and fans from all over the world ─ especially those of us in the global South ─ is that the very existence of this category, the “rest of the world” aspect of this division, illustrates how the industry is so excessively focused on American or English-speaking Cinema, both indie and mainstream, largely ignoring the great developments in film on different parts of the globe, by not including it in the other categories. With very few exceptions, most notably Western European, the panorama of so-called “world cinema” has been criminally underappreciated. However, 2017 was the year where the most countries have submitted a film for Academy Award consideration in History, with 92 nations applying for the coveted prize, including historic firsts by Haiti, Honduras, Laos, Mozambique, Senegal, and Syria. The nominations created their own storm of comments in the Film community, their own set of letdowns and surprises. Here’s an overview of the nominees, along with our picks for the most painful omissions, and other incredible non-anglo films that we think to deserve a mention as some of the most interesting film experiences of 2017. Ziad Doueiri’s The Insult was perhaps the biggest surprise in this category; after making the December shortlist, this intimate legal drama was considered the least likely to make the cut, but it seems that Oscar voters have been compelled by the way this tale of small gestures that create enormous consequences underlines the ethnic, economic and social divisions in modern Beirut. It’s a brilliant examination of our own judgements and biases as humans, wherever we’re from. It’s kind of obvious that the Palme d’Or winner becomes an early contender or even an early favorite for the Foreign-language prize, but Ruben Östlund’s scathing satire on the self-indulgence and greed of the Art world has created a rumble of its own. Some critics argue that the Swedish film possesses the very ostentatiousness and annoying decadence of the subjects it mocks, while others praise it for its transgressive nature and its truly bonkers scenes. It should come as no surprise that a jury led by Pedro Almodóvar and Toni Erdmann director Maren Ade gave The Square top honors at Cannes; if anything, the film succeeds at using sardonic humor to create a deep, long-lasting impact. Chilean society, like most societies in Latin America, is not only tremendously conservative — a strong, patriarchal, catholic church has tightly controlled everything for centuries —, it is also profoundly authoritarian — this is coming from a Mexican, by the way. This serves as both background and natural antagonist to this poignant character study of a brave trans woman and the arduous battle for her rights and her dignity. A Fantastic Woman has a steady, effective pace, but it all really comes down to Daniela Vega’s compelling, magnetic lead performance: It is perhaps the year’s best. The most brilliant accomplishment in Ildikó Enyedi’s Golden Bear-winning comeback On Body and Soul is that, despite telling a love story through the cheesiest, most obvious of narrative devices, the way she goes through the motions of unveiling the film’s camp spirituality is so earnestly committed it’s admirable, and the end result is both light-hearted and heavy-handed, indeed cheesy as hell, but absolutely captivating. In lesser hands, the Hungarian film would be a hot mess, but fortunately, there is a sensitive, skillful director at the helm. No other film in 2017 — Hell, no other film in the entire decade — has left its viewers with such an impression of hopelessness and existential dread than Russia’s Loveless. Andrei Zvyagintsev’s devastating exploration of spiritual bankruptcy centers in a married couple that does not love each other and probably never did, who have a 12-year old son that they do not love, living lives that go nowhere, in a Russian society that just does not care. And even when faced with the most horrible of crises, this entire society remains rotten; in the pursuit of money, luxury, easy satisfaction, the couple has sold their souls, wasting their best years and efforts in order to keep appearances under a system of conservative norms of respectability, prosperity, and patriotism. With all of this considered, the film isn’t concerned about redemption, or even a specific morality, and that is precisely where its powerful protest resides. It works as an indictment of modern Russia, for sure, but its main argument is that this could be any place where we silence our most essential values in favor of the illusion of a life of success, whether it’s Eastern Europe, the American rust belt, an upper-middle-class neighborhood in Mexico City, or the Gangnam district in Seoul. Its universality lies in our capacity for ruin. The AIDS pandemic was a particularly pointy issue during the 90’s because it involved an actual conflagration between those who have suffered most of its physical, emotional and societal consequences — the LGBT community, and specifically, militant forces like the Act UP movement — and the institutions and systemic mechanisms that, either inadvertently or deliberately, contributed to the spread of the disease and the stigma around it. Robin Campillo weaves this story from the intersection of the personal and the political, offering a film that is loud, graphic and uncomfortable because it has to be, because it is really about war. It is definitely the Academy’s most criminal omission in this year’s selection. Norwegian director, Joachim Trier has a great ability to explore identity, especially through situations were his characters not only discover themselves but are set to defend who they are. From its marvelous opening sequence, Thelma follows its hero, Anja through the horrors of growing up, the oppression ─ physical and mental ─ of conservative backgrounds, and the power of individuality. The film utilizes horror, fantasy and magical realism to paint a portrait of moral uncertainty and the nightmarish battle between our inner and outer worlds. Several theorists argue that the patriarchal system ruling our world is also dangerous and destructive for men and that the expectations of strength and aggression that are associated with masculinity are themselves oppressive for young boys. 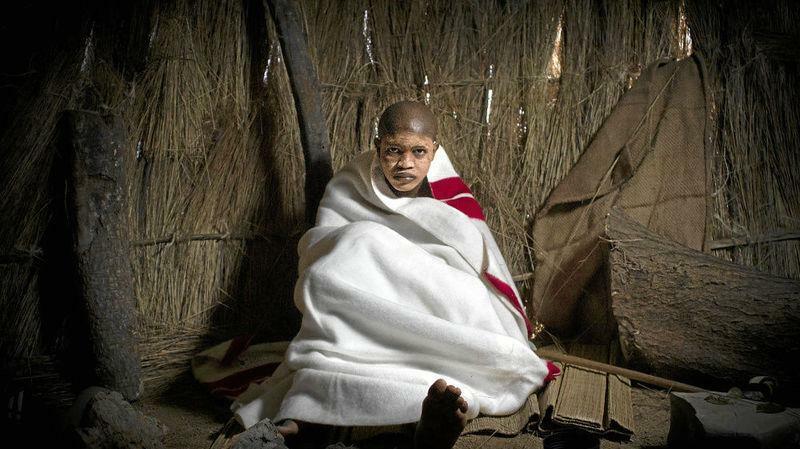 That’s the crux of the message in The Wound, the Xhosa-language feature from John Trengove that immerses us in a beautiful love story, set against a cultural practice that still raises complicated questions on the relationship of power, tradition, and community. An impressive first film with an even more impressive lead performance by newcomer Noée Abita, Léa Mysius’ Ava tackles a very simple premise: A young woman is about to go blind at the age of 13, during the very time one begins to really “see” the world. In Mysius’ small-scale exploration of puberty, mother-daughter dynamics and the surreal nature of the sexual awakening, Ava faces her impending doom with a defiant attitude, ultimately turning this adversity into a cry for liberation. 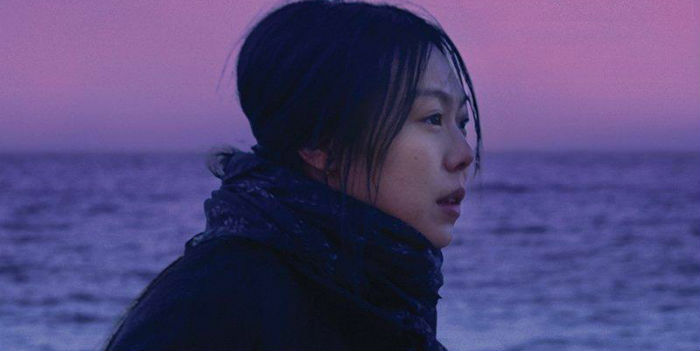 Korean filmmaker Hong Sang-soo is one of the most prolific in his scene, yet he has managed to create a balanced, consistent body of work; for this film, though, his intimate, observational approach bears more revealing considering its autobiographical aspects. On The Beach At Night Alone is a movie about the affair between an actress and a director, and the small but significant gestures, public and private, surrounding its emotional aftermath. Hong and star Kim Min-hee had an affair in real life, which seriously damaged her name, but the film does not feel like a cheap apology. It is rather a form of exorcism through art, one that never denies the consequences of male idiocy. How amazing it is that in 2017 we got to enjoy several movies that heavily feature trans women? Unlike the Chilean A Fantastic Woman, Naoko Ogigami’s Close-knit does not focus on an individual’s experience in conflict with the outside world, but with the individual as part of a family, and the importance of nurture and acceptance within’ these social relations. Ogigami’s film does a fantastic job of addressing a rarely told aspect of LGBTQ life: trans women as caretakers, as mothers. It is a milestone in Japanese cinema because this depiction of trans life contributes to its normalization, and her quiet, naturalistic storytelling help bring such a powerful point across. Just like in music, sometimes film needs exciting new forms that challenge the way we think about genre; stories that utilize the specific tropes and lore of certain traditions and subvert them in ways that open new spaces in our understanding of the art. Agnieszka Smoczynska’s The Lure is a musical about mermaids that come from the sea to become lounge singers and fall in love before remembering that they’re carnivorous, terrorizing monsters. It successfully flips through horror, fantasy, musicals and romantic comedy elements, for a film that is, for lack of a better word, its own unique creature.